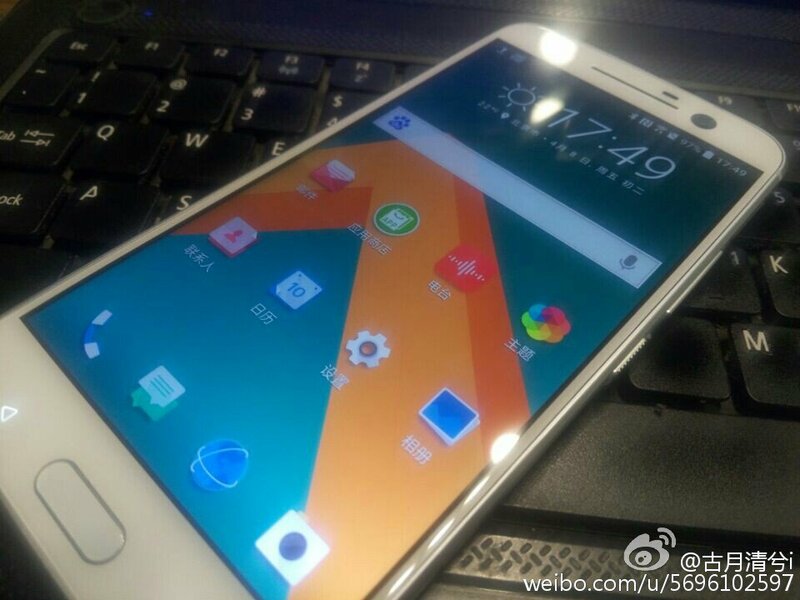 HTC is scheduled to unveil the HTC 10 on April 12. That’s next week, Tuesday to be specific. Before that happens, though, here is yet another leaked photo of the device in White. With this image, we get a great close-up of the Sense 8 user interface we expect to see on the phone when launched, as well as a look at the fingerprint reader on the frontside. From what we can tell, it’s essentially the same reader that is built into the One A9, which is a solid reader. And yes, the capacitive buttons are there, too. This is by no means our first look at the phone, as we have seen plenty of images and leaked press renders ahead of this. For the past few weeks, HTC has been teasing the “power of 10,” with the company highlighting what we can expect from the phone’s camera, BoomSound, and performance. According to the latest benchmark posted online, we can expect the HTC 10 to come equipped with a 5.1″ QHD display, Snapdragon 820 processor, 4GB of RAM, 12MP rear-facing UltraPixel camera, 5MP front-facing camera with a bit of special selfie tech built-in, and Android 6.0+. The unveiling event kicks off at 8am EST on April 12 online for your streaming pleasure. For all you west coast peeps, that’s 5am.